No matter how often it is brought up, the topic of sasaeng culture never gets old. With events such as ARMYs stalking BTS at the Grammys and Exo’s Baekhyun receiving repeated calls from sasaengs during an Instagram live video, it is apparent that sasaeng activities will never end. Even as fans continue to show disgust and hatred towards sasaengs and their actions, it’s important to consider what actually drives sasaengs to become sasaengs. They are fuelled by a love and obsession so intense that it leads to them acting upon those emotions, but how does this love and obsession manifest? Surely, sasaengs were “normal” fans like you and I before reaching this extremity. Through the framework of parasocial relationships, we can better understand how sasaengs come about, and further, realise that the mindset of an ordinary fan is not too far off from that of a sasaeng’s. Every fan is in a parasocial relationship—a one-sided relationship where one party extends emotional energy, interest and time while the other party is unaware. This interest includes, but is not limited to, fanart, edits, fanfiction, cafe events, and so on and so forth. Parasocial relationships can to prove to be either beneficial or detrimental, depending on how strong the relationship is. This can be broken down into three levels— entertainment-social, intense-personal, and borderline-pathological. The first level, entertainment-social, is the usually the most beneficial stage of a parasocial relationship. This is when the fan respects and enjoys the idol for the content they produce, and it usually inspires fan-made content such as graphic edits and fanfiction. The second level, intense-personal, is reached when the fan believes that they have a special bond with the idol. This special bond is typically formed when the fan overly depends on the idol for emotional comfort, and the fan spends majority of their time doing something in relation to that idol. The last level, borderline-pathological, occurs when a fan experiences uncontrollable behaviours and fantasies, and may feel frustrated when the idol does not respond to them. This mindset is what leads to the creation of sasaengs. It is no surprise that sasaengs fall into the last level. From the extreme behaviour they engage in, it is clear that they want to be remembered, even if for bad reasons. Considering the fact that sasaengs install cameras in the idols’ rooms to spy on them, or writing disturbing letters in period blood, or waiting outside their dormitory just to catch a glimpse of the idols, it is evident that sasaengs do not care about how they are viewed by the idols as long as they are noticed. However, we are not here to express our rage and anger towards the sasaengs’ disrespectful and illegal actions. Rather, we are here to examine how fans can become so obsessed with idols that they reach that point. Compared to the previous K-pop generations, K-pop is transitioning from lighter topics such as infatuation, romantic love and heartbreak, to darker, more serious topics such as mental health issues. To name a few, groups such as BTS, Stray Kids, and Mamamoo have spoken up about these issues through their music, as well as encourage their fans to love themselves and be confident in their own skin. With mental health issues becoming more prominent across the globe–such issues account for 16% of global burden of disease and injury amongst 10 to 19-year-olds–these songs can provide comfort and raise awareness about these issues. Increased representation of these issues sparks the belief that the idols truly understand what fans are going through. This can lead fans to develop a stronger emotional attachment towards the idols, and may result in fans relying on idols for emotional support more than the people around them. Since there is a lack of appropriate treatment for mental health issues in many parts of the world, adolescents may seek alternative avenues to cope with their issues. Due to the different mindsets adolescents and adults have, they may also not feel comfortable opening up to their parents as well. In this context, because idols can act as a source of comfort to fill that gap, the parasocial relationship strengthens. So while a fan may start off at the entertainment-social level, with the constant strengthening of the relationship, fans start to move up to the intense-personal level, where they come to rely more on their idols for help than on the people around them. When fans start to place a lot of their trust in idols, they will want to be able to connect even more deeply with their idols and have direct contact with them. Furthermore, it does not help that the way K-pop is marketed is extremely addictive. 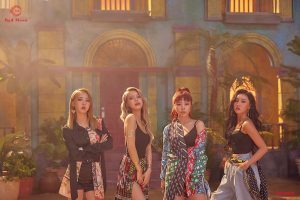 With groups coming back with new tracks every few months and churning out content constantly, fans are presented with new opportunities to connect with idols everyday. Even when comeback season is over, idols can easily go onto VLive and interact with fans, and with fansites becoming more popular, fans can now see what goes on during concerts, and when the idols are going from one place to another. During non-promotional periods, idols usually take this time to reinforce what they believe in. This allows for a more personal connection, and fans start to see idols as people rather than an untouchable entity. The constant interaction and influx of content during and after comebacks strengthens the parasocial relationship even further. Because fans do not get to step away from the lifestyle of being a fan, the chances of them slipping into the borderline-pathological level are even higher. Too much of this connection can lead to fans acting upon their emotions, and this results in the birth of sasaengs. Sasaengs have always been frowned upon by both Korean and international fans. It is common to see a discourse occurring on Twitter about sasaengs and how horrible their actions are. However, over-reliance on idol groups for emotional support is more common than we think, and it forms the basis of sasaeng behaviour. Parasocial relationships and the never-ending supply of content to strengthen such a bond can prove to be disastrous for fans. “Normal” fans can rely on idols for emotional support as heavily as sasaengs, and such reliance that is fostered by the constant influx of content can be extremely unhealthy. This is evident in fans’ responses to BTS’s acceptance speech at MAMA 2018, in which they admitted to thoughts of disbandment earlier in the year. ARMYs worldwide were deeply affected, and they shared how they felt their heart stop or cried when they heard the news. Some fans also became aware about their emotional reliance on BTS, acknowledging that it was unhealthy. This reliance and intense feelings towards idols are similar to what a sasaeng feels, the only difference being the fact that these fans have a strong enough moral compass to restrain them from doing what is illegal. Yet, when idols go to various countries, they are not free from stalkers or mobbing in a country filled with fans that supposedly frown upon sasaeng actions. They are unable to enjoy a new environment without being filmed or having fans waiting around their hotel, hoping to catch a glimpse of them. Fans have become so attached to their idols that they are willing to go to extreme lengths just to see them, and these people who condemn the actions of sasaengs— who’s to say they are nothing like sasaengs? International fans always use the excuse, “The idols rarely come to our country”, but that’s just it. It’s still an excuse used to cover up the fault behind their actions, even if it is not entirely the fans’ fault that they have become obsessive–as mentioned earlier, a parasocial relationship is strengthened by the constant interactions between idols and fans, often facilitated by the idols’ companies or the idols themselves. Another way parasocial relationships are strengthened is through fansites. Fansites produce fan content within official settings, such as idols coming and going from variety shows and airports, as well as concert pictures and videos. Fans thrive on such content, because they can see what their idols look like in their everyday lives. With social media on the rise, fans become greedy for more content, and fansites work even harder to produce content that will top other fansites. This leads to sasaeng and problematic fansites. 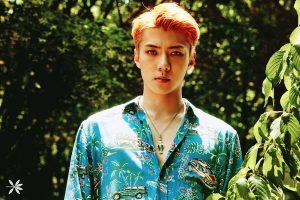 For instance, during the SMTown concert in Chile last month, a Korean fansite dedicated to Exo’s Sehun was seen to be disrespecting other fans, stepping on the bags of others and even standing on chairs, blocking the view of other fans. When Chilean fans retaliated, the fansites simply ignored them, and took to Twitter to complain about how disrespectful and rude Chilean fans were. This led to international fans choosing to boycott the fansite. Aside from problematic fansites, there has also been a rise in sasaeng fansites, who stalk the idols outside of official schedules. 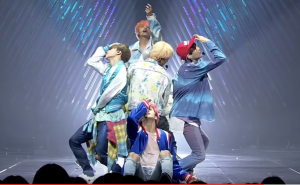 The issue of sasaeng fansites was brought into the limelight earlier this year when Big Hit Entertainment released a list of fans who were blacklisted for stalking BTS. 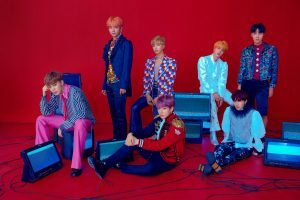 The list included several fansites who violated the group’s privacy through acts like illegal photography, using the same airline as the groups through illegal routes. The blacklist was a wake up call to other fansites, serving as a warning that such behaviour would not be tolerated. Despite measures taken, though, sasaeng fansites continue to thrive and remain successful. This is due to the fact that idols have an immense power over fans to the point where fans simply want to always be updated on the idols’ actions. Furthermore, fansites slip into sasaeng tendencies when they realise that they can exploit the obsessions of the fans to earn money or gain a larger following by capturing their favourite idols outside of official schedule as it is more “exclusive”. 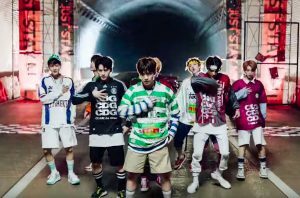 This exclusive content pushes the fans further into obsession, and the vicious cycle which harms both the idols and the fans will never end. As society progresses and we become more vocal about socio-cultural issues that have been swept under the rug for years, idols continue to provide important representation for fans affected by such issues in order to maintain the connection built through a parasocial relationship. It is impossible to stop such relationships from forming, but it is definitely important for parents and friends to start taking note of the people around them to ensure that fans are not overly-reliant on idols for emotional support. While the K-pop industry has done an excellent job in marketing as well as ensuring that their fanbase only grows larger, the toxicity that can come with such an intense parasocial relationship may not be good for fans and idols in the long run. Xiao Qing has devoted a chunk of her time and money to Day6 whilst struggling to put together her portfolio for university. She aims to become an advocate for Day6–I mean, a journalist for the arts in the future.